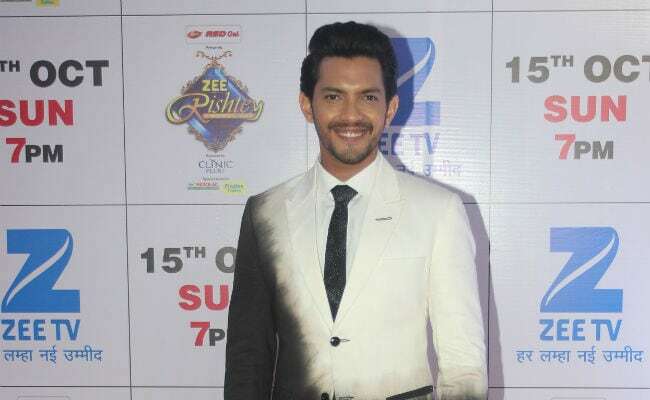 Aditya Narayan photographed in Mumbai. Actor-singer Aditya Narayan feels it is very important to step outside one's comfort zone to grow as an individual. The son of popular singer Udit Narayan spoke about his life, career and ideology on audio show Talking Music, a part of streaming service Saavn's 'Original Programming' catalogue, read a statement. Asked how did he decide to write and sing his latest Bhojpuri track Mood Bighadelu, Aditya said: "I don't think a person grows in their comfort zone. The only growth that happens is out of the comfort zone, so I keep putting myself in these situations where I have no idea what I'm doing and then to come up with something and then to have people enjoy it, it's wonderful. "I always had a dream as a child to produce music videos and to write my own songs - be a singer, song writer and just do stuff on my own and then have the label come in and just mark it and distribute it." Aditya feels it is very important to learn first before stepping into any field. "I think I'm the first actor in the history of cinema, to become a lead actor first and then become an assistant director and I've also give clap on my own song Tatad tatad... But ya, Shapit made me realise that this is something I definitely want to pursue in my life, so I went to Sanjay Leela Bhansali, I was hosting a show on Sony, which is where I met Sanjay sir. "I said I want to assist, he laughed at me and said it is a difficult job you won't be able to do it and I just showed up at his office. But I remember he didn't give me any work for like three weeks. I used to just go to his office, read a novel and come back. And after 20 days, he was like maybe this guy is serious and then I joined him as an assistant director, to assist mainly on music and also be the clap boy and crowd control man. "That's where I decided to pursue my film career." Aditya is making a musical, and says the project will go on the floors early next year.